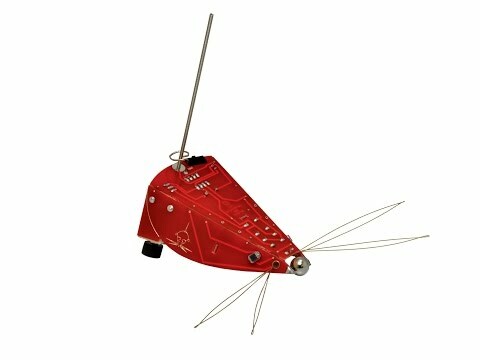 This enhanced Herbie has a functional whisker and tail sensors, so it doesn't get stuck in corners while it chases around. Herbie the Mousebot is a 9-volt battery-powered robot that loves to chase torchlight light beams. If there are several Herbies in the same area, they can be configured to chase each other! These little robots are so quick, you have to run to keep up to them!